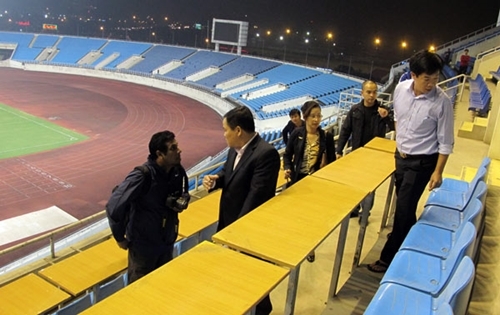 ASEAN Football Federation (AFF) experts are making a fact-finding tour of Vietnam’s infrastructure facilities in preparation for AFF Suzuki Cup 2014. On November 19 they made a field trip to My Dinh National Stadium in Hanoi – a main venue for group matches of the tournament. The stadium has been refurbished recently to play host to regional competitions. On November 20 they inspected major hotels in the capital city, namely Daewoo, Sheraton, Crowne Plaza. AFF is considering either Sheraton or Crowne Plaza to be the venue for a draw ceremony due to take place in August 2014. The AFF experts also plan to inspect Hanoi’s Hang Day stadium that is to host the last group match. Vietnam and Singapore will co-host AFF Suzuki Cup 2014 group matches with the participation of 8 teams. 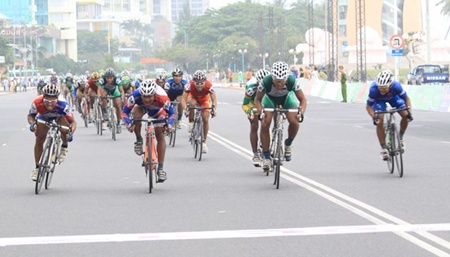 Vinh Binh Rice-An Giang's Ha Thanh Tam won the third stage of the Nam Ky Khoi Nghia Cycling Tournament yesterday after pipping their rivals to the post in the final metres. Tam won the 108km stage from Phan Rang to Nha Trang with a time of 2hr 56.55min, at a speed of 36.62km/h. Nguyen Truong Tai and Do Anh Tuan of Domesco Pharmacy-Dong Thap came second and third, respectively. Le Minh Nguyet of Eximbank-HCM City finished fourth and stole the tour's top place from Ho Huynh Van An of An Giang Plant Protection. Nguyet leads the pack after three stages with a time of 12:18.28. An shared the same result but dropped to second place. Chau Hong Hau of Military Zone 7 is third, on 12:18.29. Nguyet is also the tour's green jersey holder, grabbing 39 points. His team maintain first place in the team rankings with 36:56.04, followed by An Giang Plant Protection and Military Zone 7. The fourth stage today will see cyclists racing from Nha Trang to Da Lat over 99km. The stage will challenge riders with the 29km Khanh Le and 4km Giang Ly hills. The winners will be awarded the red jersey for the King of Mountain title. Tran Le Minh Tuan (Military Zone 7), Le Ngoc Son and Nguyen Truong Tai (Domesco Pharmacy-Dong Thap) are the three strongest of the title favourites. Asian champions Japan defeated Thailand 3-0 in the first match of the HCM City International Futsal Tournament yesterday. Goals came at the 31st, 32nd and 35th minutes after Thailand failed to break Japan's strong defense. It was Japan's second win over their Southeast Asian rivals within 17 months. Last June, Japan trounced Thailand 6-1 in the final match of the Asian Futsal Championship in the United Arab Emirates. Today, host Viet Nam will start their tournament against Japan. The match will be aired live from Phu Tho Gymnasium at 6pm. Earlier, world champions Brazil will play Thailand. The November 19-22 tournament will provide a bonus of US$5,000 to the winners. The two runners-up will receive $3,000 and $1,000. The title race has opened up for second-tier players at the 2013 National Best Chess Players Championships, with the top players unable to participate for various reasons. 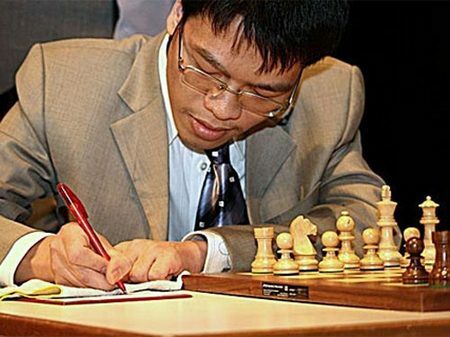 In the men's division, GM Le Quang Liem is pursuing his studies in the US, while GM Nguyen Ngoc Truong Son and GM Nguyen Duc Hoa are busy preparing for the upcoming Southeast Asian Games. Top women players Pham Le Thao Nguyen and Nguyen Thi Mai Hung are busy training in Hungary. The championship has got a lift with world U10 champion Nguyen Anh Khoi, seeded 13 in the male's division, expected to challenge veteran players like GM Dao Thien Hai, GM Cao Sang and IM Nguyen Van Huy in the title race. A total of 41 players from 12 provinces and cities nation-wide are competing in the championships, which kicks off today and closes next Tuesday.